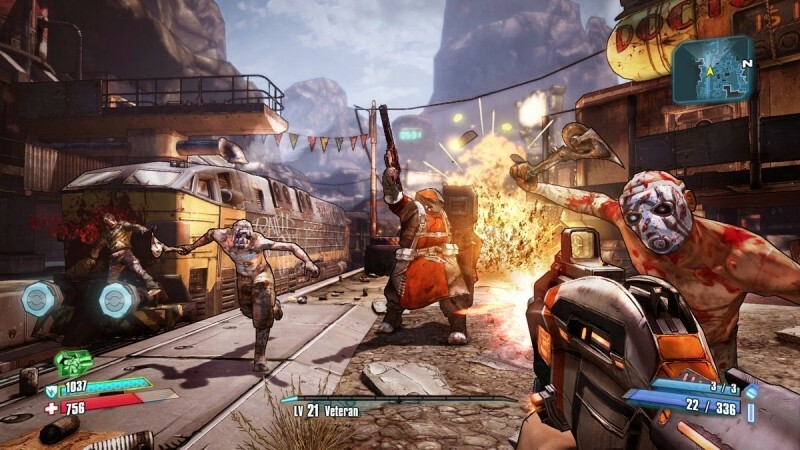 If you haven't played a Borderlands game yet, the latest Humble Bundle may entice you to spend a few dollars to get Borderlands, Borderlands 2, and a collection of DLC. Like with all Humble Bundles, you'll also get a chance to donate some money to a worthy cause, in this case the National Videogame Museum. Spending less than the average price, currently around $5.50, will net you the original Borderlands, plus three DLC packages: The Zombie Island of Dr. Ned, Mad Moxxi's Underdome Riot, and The Secret Armory of General Knoxx. Spending at least $1 will give you these titles as Steam keys. Spend more than the average and you'll also net yourself Borderlands 2 and a further three DLCs for the game: a Psycho Pack, a Mechromancer Pack, and Creature Slaughterdome. While Borderlands: The Pre-Sequel is not included in the bundle, spending more than the average will get you a 75% discount coupon for purchasing the game through the Humble Store. Finally, if you spend more than $15 on the Humble Bundle, you'll get an Ultimate Vault Hunter Upgrade Pack 2 for Borderlands 2, plus a Borderlands 2 Season Pass, a 25% off coupon for merchandise through the 2K Store, and another add-on: Headhunter 5: Son of Crawmerax. More stuff will apparently be added to the Humble Borderlands Bundle soon, which ends in around 13 days.